Yellowish Leaves – Sometimes confused with the above color, completely yellow leaves – that is, the veins are also yellow – indicate a lack of nitrogen in the plant – this element is vital to all parts of plants development and thus its lack discolors the entire plant. Brown Tips and Edges – The introduction of too much salt into a plant’s system causes the newest areas – the tips and edges – to brown first. Eventually, the entire leaf will turn brown. For further information on this and other landscape maintenance tips, please contact us online or phone directly to 888-210-1116 with any questions. Outdoor Expressions – Making your outdoor space a place to remember. 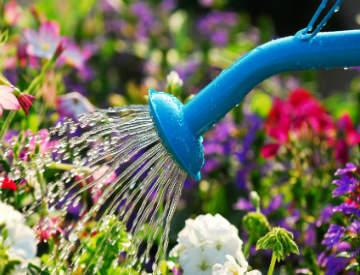 Keep the Water on the Plants – It should be obvious not to do so but many gardeners land as much water on the surrounding gravel as they do on the plants. Instead, take the time to only water the plants themselves. 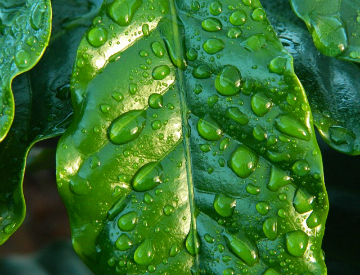 Water in the Morning – Before the heat of the day sets in, your plants will have much more of a chance to absorb the water before it evaporates. A morning soak also helps the plants withstand the higher temperatures later on. Water Consistently – Edible plants grow significantly faster if they are watered regularly without long periods of drought in between. Also, a single deep watering is better than several shallow ones. Use a Large Collection Tank – A lot of water – as much as 100 gallons – can come down in a single, two-hour downpour. It is a shame to lose out on this resource for lack of storage capacity. Just so you know, 300 gallon tanks can be found for as little as $40 on eBay. Keep It Dark – It is extremely important to use an opaque container so that algae or other light-feeding creatures don’t bloom in the barrel. While the water will still be usable, it may start to smell. Cover It Tightly – Similarly, and more importantly, keeping the barrel tightly covered will stop any insect larvae from infesting the water and ruining your evenings. 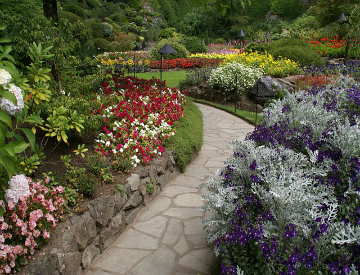 Builds Allergy Tolerance – It may seem counterintuitive – as pollen and other allergens can provoke a negative reaction in many people – but repeated exposure to those same contaminants like those found in almost any garden will eventually yield an enhanced immune system. Lowers Cortisol Levels – Produced in response to stress, cortisol places a very great strain on the human body. Plants reduce this effect and leave a person remaining calmer. 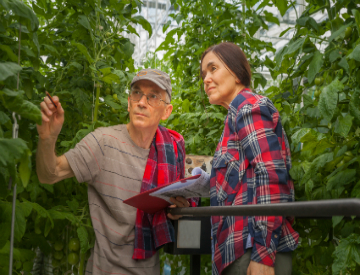 Increases Circulatory Efficiency – A walk in the garden reduces blood pressure levels and the overall pulse rate – both good for your heart. For further information on the very real benefits of commercial landscaping, please visit us online or phone us directly at 888-210-1116. Outdoor Expressions – Making your outdoor space a place to remember. Avoid Attractive Plants – Not to you but to the deer. In particular, moisture-rich, high-protein plants such as hostas, English ivy and impatiens as well as peas, lettuce and beans will attract deer. 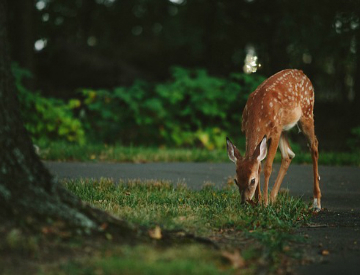 Add a Scented Perimeter – Deer predominantly use their sense of smell to find their food sources. You can mask the smell of attractive plants by adding strongly-scented plants such as mint, lavender and garlic around the outside of your landscape. Use Texture to Your Advantage – Thorny roses and other prickly plants interspersed among other more deer-attractive plants will dissuade deer from eating any of them. Create Levels – Deer are averse to climbing either up or down. Simply adding raised or sunken beds adds one more deterrent. For further information on this topic or for help in finding the best Atlanta landscape designers, please visit us online or phone us directly at 888-210-1116. Outdoor Expressions – Making your outdoor space a place to remember. Overall Sun Exposure – Sunlight is quite penetrating but it can be blocked from the lower areas of a garden. This situation results in high-profile, sunlight-loving plants up high and smaller ones underneath that love the shade and the cool. Length of Growing Season – Hardiness – or growing – zones largely determine what plants you can cultivate in your part of the country. Ignore these at your own peril or you will lose an inordinate number of plants. Amount of Annual Precipitation – Water is the key to life for every organism on Earth. Many plants are gluttons for this resource while others can survive on only a minuscule amount. 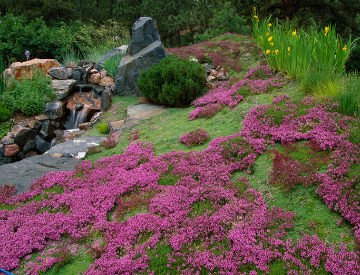 For further information on microclimates and other landscape maintenance topics, visit us online or phone directly to 888-210-1116. Outdoor Expressions – Making your outdoor space a place to remember.